Helpful Professional Advice, Residential Sales, Rural Sales, Commercial Sales, Business Sales, Auction/Tenders, Property Management. 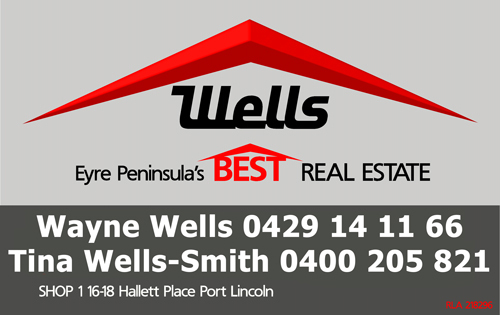 Offices based in Port Lincoln & Tumby Bay - Servicing the Eyre Peninsula. Contact Wayne Wells & Eyre Peinsula's Best Real Estate team today!